Ever since the invention of artificial intelligence (AI) and machine learning, these have become an integral part of almost every technology evolution we see today. Furthermore, AI is now being used in almost every field that has anything to do with the internet and/or technology, to bring more life. 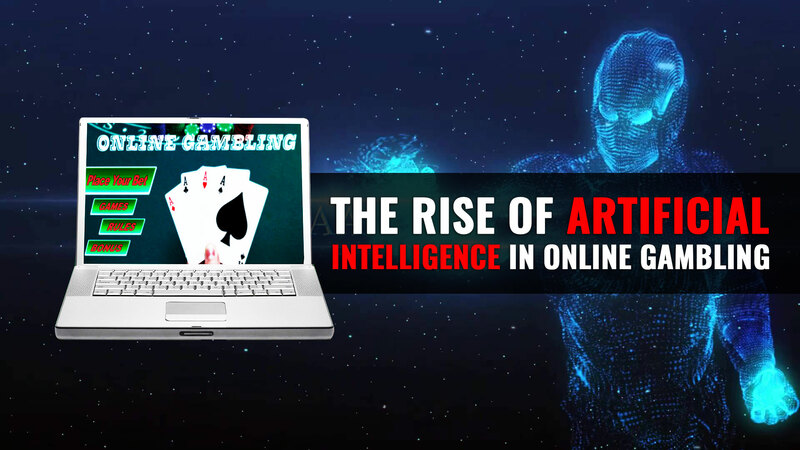 This also includes the industry of online gambling, with many online casinos now focusing on providing more and more AI-powered 3D games. So, how is AI changing the world of online gambling and what will be its impacts in the long term? Let’s find out. Recommended: How Technology Changed the Online Gambling Industry? Artificial Intelligence, AI, is the act of integrating an intelligence system in machines, such that the machines can think and make certain decisions on their own. The idea is to create devices that can learn from their environments and take actions, usually for the benefit of human beings. AI has been around for some time now, with its applications already being tried in the fields of healthcare, video gaming, automotive, finance, and more. AI is being introduced in these fields with the purpose of finding solutions to complex problems that are troubling human lives. The ultimate aim is to enable machines to learn from human behaviour and environment and modify their own behaviour and actions accordingly. So, how does AI actually help online gambling industry? The use of machine intelligence in video games is very practical today, with many gaming companies already using this technology to integrate intelligence behaviour, commonly referred to as human-like intelligence, in on-screen characters of their games. This more or less enables these characters to think and make their own calculated decisions in specific situations in a game. Here are some ways AI is being used in various parts of this industry. The use of artificial intelligence in online gambling are unlimited. Many big casinos are already using AI-powered slot machines in their online casinos to minimize the chances of cheating and facilitate a fair gaming trend. In a slots game, you are usually playing against a computer or automated system. These systems are now being replaced by AI, which will be able to determine the player’s behaviour and take actions accordingly. The use of AI in casino games is also expected to minimize the role of luck, as everything will become clearer and fairer. Featurespace, an adaptive behavioural technology firm, has recently created a machine learning system that can detect the unusual behaviour of players and catch the ones who were cheating. This system can be used in any video game or online casino game. So, what could the future hold for online gambling? Video/Online games were one of the main targets of the invention of AI. Therefore, it will only be fair to say that AI is going to become, if not already, a very important part of online casinos and games. As you may see, some major casino websites have already started using this technology to empower their games. AI, in combination with AR (augmented reality) and 3D, is expected to change the face of the game completely. However, the use of this technology in casino gaming is not free of risks. There have been instances where players were found using AI to manipulate the natural gaming at slots or to gain an unfair edge over the house. This is a serious thing that online casinos need to consider before AI can be widely implemented in this industry. Feel free to share your own thoughts about the impact of AI on online gambling.